Forecast at Alta has me soooo stoked! 16-28 inches of snow projected for this storm on Monday. 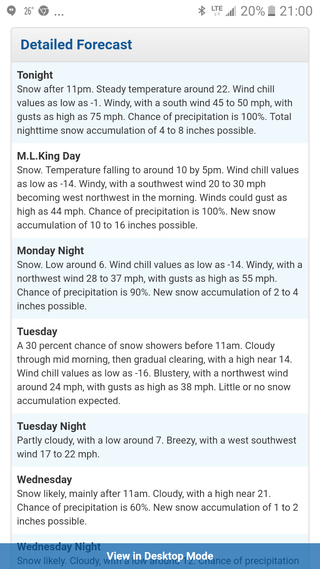 This might make it a real test of my snow tires getting to Salt Lake that day, but I’m so pumped for the pow day on Tuesday. My biggest debate right now is between dealing with the crowds and going to Alta or having an empty mountain at Solitude. They should get the same amount of snow but I’d love to have it all to myself. I’m concerned that day 1 will be crap with the mountain barely opening due to winds and leftover storms. I may have to pick based on open roads as well. I think I have a better shot at getting up Big Cottonwood canyon rather than little. And if both are closed, I surely should be able to make it over to the Park City side and ski Deer. Ahh decisions! Subaru is ready for some snowbaruing for sure! Today was a long day of driving. Just over 500mi in total starting in Las Vegas, a pit stop in Zion through the afternoon, and onto Moab. Arches in the morning before the winter weather rolls through and then a slugfest of driving northward into the storm. Snow tires, slow/steady driving, AWD, and chains as a last resort will get me to the destination. What is normally a 3.5 hour drive, I’m budgeting 5+ just in case. Car is gassed up and alternative routes being considered as needed. Let’s do this!